To read the book of Revelation is to see a myriad of representations pass by our gaze, offering a kaleidoscope of bizarre and incongruent images. This world strikes us at first as fearfully and mysteriously strange and fantastic. But once these symbols are properly deciphered, they combine to present crucial messages for those living in the last days. These messages were designed by God to lead all successfully through these troubled times if they will read, hear, and do his will. 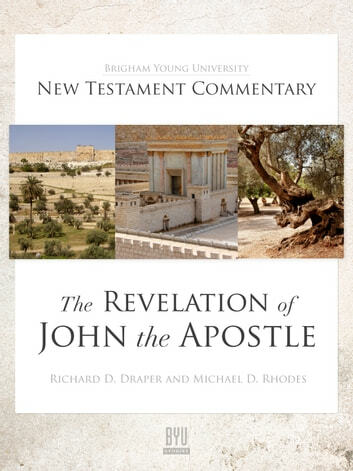 This commentary presents a comprehensive analysis of John’s book aided by the lens of LDS doctrine and Mormon experience. God delivered his messages in the form of images housed within discrete visions, with each symbol explaining, exposing, or emphasizing various aspects of the message conveyed. The challenge is getting beyond the symbols to the represented realities. Information is drawn from all the Standard Works, the Joseph Smith Translation of the Bible, and from modern Prophets and Apostles. Even so, the best of world scholarship has not been overlooked. Because this commentary relies heavily on the Greek text, the full Greek text of the book is presented in sections along with the King James Version and the authors’ new Rendition. The commentary contains translation notes and analysis of every verse. The work strives to be as up to date, comprehensive, scholarly, and doctrinally sound as possible. 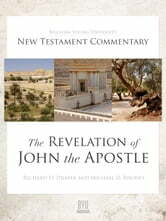 Most importantly, the commentary emphasizes the primary focus of John’s work, “the revelation of Jesus Christ” (Rev. 1:1). The commentary highlights the Apostle’s witness that Jesus is the Lamb of God alive and active in these last days—directing earthly affairs and preparing his Saints and the faithful so that the Father’s intentions will ultimately be accomplished. Moving beyond all its latter-day horrors, hope and promise still dominate the work. The Lamb is in charge, and nothing moves beyond the limits he sets. He is coming to “destroy them which destroy the earth” (Rev. 11:18) and to bring his people into triumphant millennial glory. This commentary details how.